Week three of our Thanksgiving Series and this week Dana and I are bringing you two side dish recipes! One from me and one from Dana! We always have green beans at Thanksgiving and then there is a spot open to slip in another veggie, sometimes it’s butter beans or a broccoli casserole but this year we are having this amazing Classic Corn Casserole! I have seen it floating around in some of my older cook books and I decided to give it a test run the other night and holy cow it is the best thing ever! I literally could not stop picking at it while dinner was cooking, then I had it with dinner, I picked on it while cleaning dinner up and I had it the next day for lunch. It is such a simple recipe but the taste and texture is phenomenal and will have you coming back for just one more bite. Even the smell while it is baking is enough to make you drool. I know I will have to double this recipe for Thanksgiving and even then I am pretty sure the pans will be scraped clean. This dish is perfect warm or room temperature which makes it perfect for Thanksgiving because it requires no re-heating so can be made earlier in the day. I promise you this Classic Corn Casserole will be a hit at your dinner table this holiday season! Place the cream cheese and butter in a microwave safe bowl and microwave 1 minute or until butter is melted. Whisk together till most of the lumps are gone. Add in the 2 boxes of cornbread mix. Stir in the 2 cans of corn un-drained. Pour batter into a greased 9x13 baking dish. Place into a preheated 350 degree oven and bake for 45 minutes until golden. Want more side dish ideas? 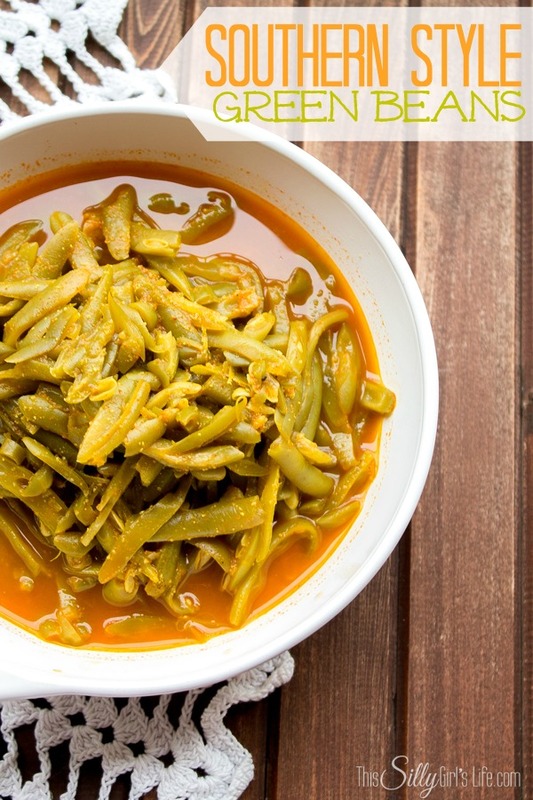 Head on over to This Silly Girl’s Life and get her recipe for Southern Style Green Beans! Yum! Get more Thanksgiving Recipes below! I love corn casserole! Thanks for sharing at Simple Supper Tuesday. Mmmm, this looks so good. I haven’t had corn casserole in years. Not since I moved north anyway. Can’t wait to try this!! Oh man, this sounds like a great way to eat corn! I haven’t had corn casserole before but I love the fluffy, cozy look of it :) Definitely pinning this to try! This is one of my favorite holiday recipes! I’d rather not know what’s in it because I eat so much of it! 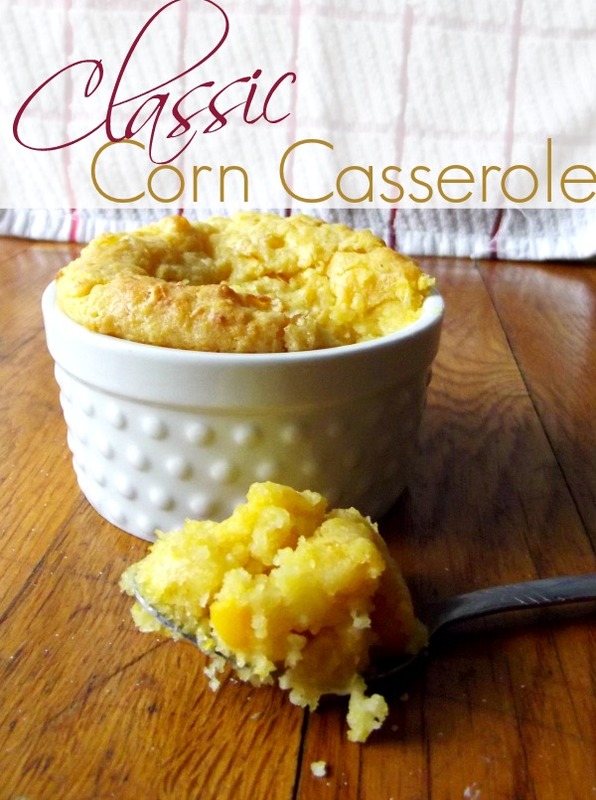 I’ve always wanted to make a corn casserole and this looks super easy and yummy! Thanks for the recipe. This DOES look delicious, Parrish…I can see why you couldn’t stop snacking on it! My whole family enjoys any incarnation of corn, so I bet they would love this! Thanks so much for linking up over at Moonlight & Mason Jars! I’ve had fun guest hosting this week and I’m enjoying checking out all of the fabulous links. Hope you’re having a great week! YUM! This casserole looks SO good! Pinning to my Delicious Side Dish board now! Mmm mmm mmm! I am thrilled to get a good recipe for corn casserole! I’m printing the recipe as I write! Many thanks! I am not familiar with this… maybe it’s not a Northeast thing. I love learning about a new dish. Thanks for sharing it with us on foodie friday. I haven’t had corn casserole in forever! I just pinned. TY! Looks yummy and easy to make. Pinning it to my Pinterest board. Visiting from My Favorite Posts Show Off Weekend! This looks yummy! I’ve got lots of corn from the garden and this looks like a good recipe to help use some of it up :) I found your post on Bewitch Me & Titi. Thank you for sharing! Looks amazing! I will definitely have to give your recipe a try! Thanks for linking up at Whatever Wednesday on Thank You Honey! Hope to see you again this week! That looks delish. Coming by via the Mommy Monday Blog Hop. I had never had corn casserole until last year at my brother-in-laws house, and guess what, HUGE hit! Thanks for sharing it at the Pinworthy Project Party! Also, I’ll be featuring this Thursday morning, feel free to stop by and grab a button! Wow, Parrish, not only does this look yummy….it sounds so easy to make! Hey, stop by my site to share this on the blog hop? Just went live moments ago! I’m excited to try this!! Does anyone know if it freezes well? Can I freeze it after baking it? I would love to use it alongside chili for a freezer meals for new mom friends of mine. I had a recipe almost like this except it used 16oz. sour cream instead of the butter & cream cheese. You can also mix in some chopped green onions,or chives & minced bell peppers and /or chopped black olives, or whatever you like. I am so glad you enjoy my recipes and yes I got mine at Lens Crafters too!! I love them!! You have good taste lol! Love corn casserole!! Do you know if it could be prepped the day before and baked on thanksgiving? I havent tried it that yet but I think it could work. 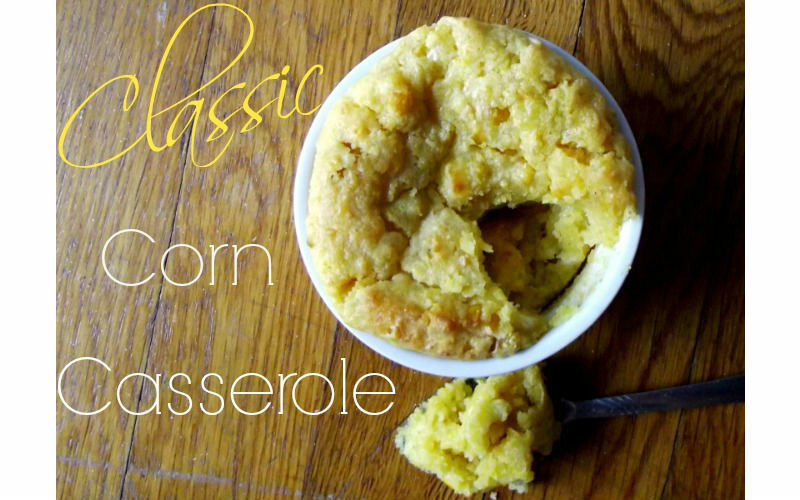 What size cans of corn are you using in this Classic Corn Casserole? 15 ounces cans. Thanks for stopping by!